I first became acquainted with my in-laws through their wedding album. I found myself smiling as the story of their wedding day unfolded with each flip of the page. The photos of their wedding day, of their youth, of them happy and of my now-new family celebrating their union is a gift from whomever photographed their wedding. My goal on your wedding day is to be a memory keeper. That is, to use my artistic eye to record your wedding day in as it unfolds in a flattering yet timeless manner. I use minimal direction to deliver beautiful and natural photos that will become a family heirloom. My style of wedding photography encompasses a healthy mix of documentary, lifestyle and editorial fashion photographer. Over the years, I have settled into this style as it allows me to tell the story of your wedding in an elegant, fun and timeless manner. In 20 years, I want you to look back at your photographs and your album and remember fondly the laughter, the glamour and the joys of your wedding. We take on a limited number of commissions a year so please be in touch so that we can arrange a consultation. WE LOVE WORKING WITH OUR CLIENTS...AND THEY TEND TO LOVE US TOO! Don't take our word for it! Read on below to see what some other loves have to say about us. "Martine and her second shooter were fantastic throughout the whole thing. What we found very helpful was the many quick Skype catch ups we had in preparation for our engagement session as well as in preparation for the day itself. Martine always had something constructive to contribute or someone she knew that could help us get issues resolved. The day of the wedding they were like part of the family! Helping out and organising people in the right spots for group shots or even for our planned shots. We loved their energy and positive outlook they bought to our special day." 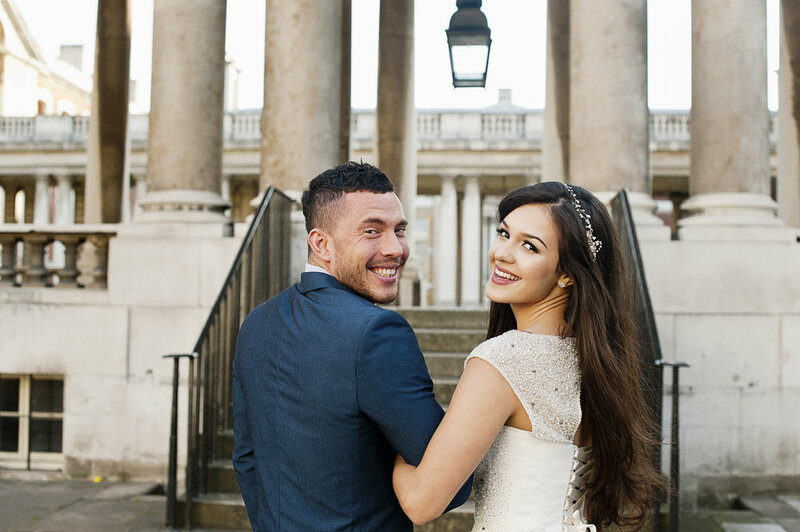 "You made us relaxed and took the time to get to know us - we felt totally comfortable with you by our wedding day and reassured that you would capture all the details."